Say hello to Poochi! 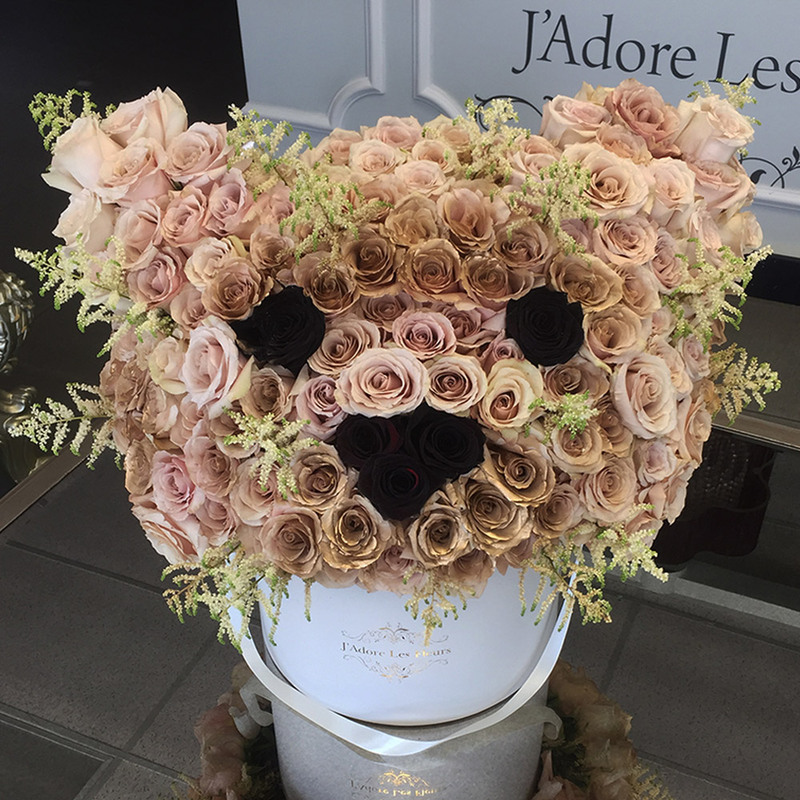 This customized arrangement is carefully put together with roses and astilbe leaves creating a face of a puppy! The arrangement in the photo is in our Large size box.